When Big Brother star Chanelle Hayes probed into her past it proved far more shocking than she could ever have imagined. Adopted as a baby, she had been told her mum had ‘gone to heaven’ – and as she grew up, her curiosity kicked in. At 15, she demanded to know what had happened to her. ‘It was the news I’d been desperate for,’ Chanelle, 26, tells us. ‘But when I finally discovered the truth about my mother, the world as I knew it changed for ever. ‘Mum hadn’t been the gentle homebody I’d created in my imagination. Nor had she died of cancer or in a car crash as I’d envisaged. ‘Andrea Sinclair gave birth to me while serving a prison sentence for drug dealing. She was a cocaine and heroin user and a prostitute – and she was murdered by one of her clients. 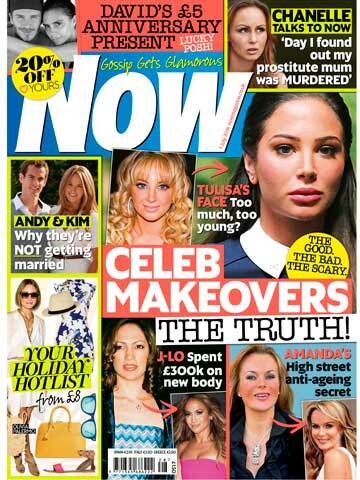 in this week’s Now magazine dated 7 July 2014 – download the digital edition now! SEE PICTURES Chanelle Hayes in Big Brother 2007 – 2009: Where are they now?